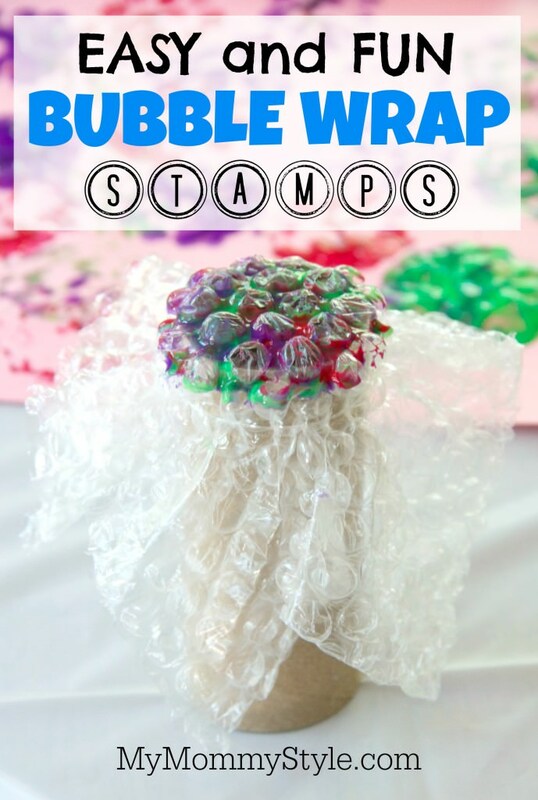 These bubble wrap stamps were so fun for my three year old and they were so easy to make. Cut a small square of bubble wrap and place it over the toilet paper roll and add the rubber band to keep it in place. We used a clear hair elastic and it worked perfectly. 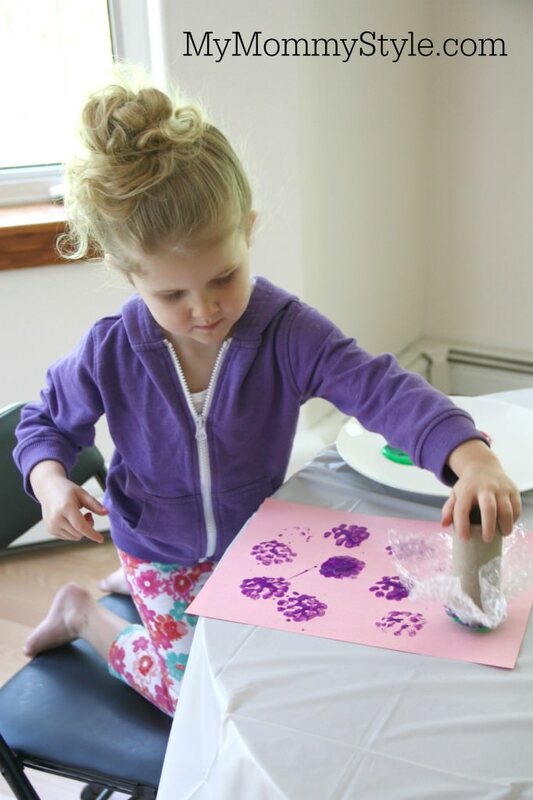 Then dip your stamp in paint and add the paint to paper. 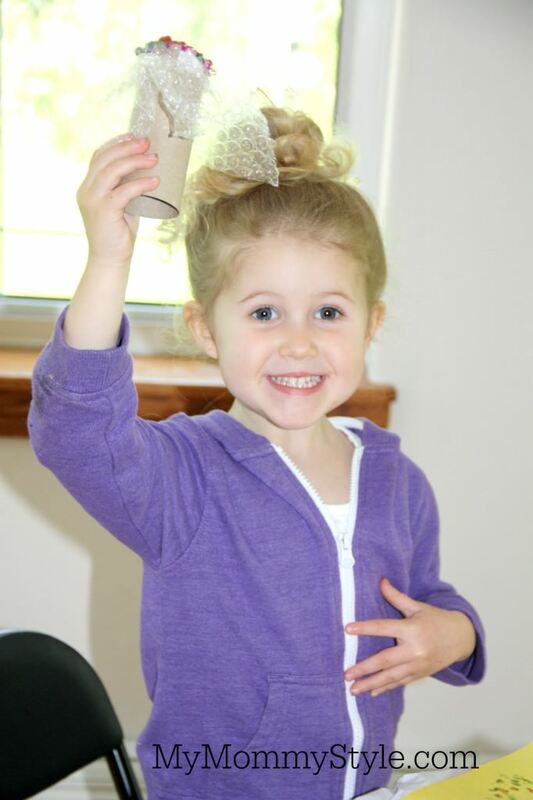 This post is is part of our Summer Learning Series for our hands week activities. Click here to find out all of the great themes for each month and week.